220,000 people integrate and join the network at #HM15. Spotlight on “Industry 4.0”, robots and intelligent energy systems while India sets new standards as Partner Country. After five action-packed days of industrial innovation, dynamic networking and lead generation, HANNOVER MESSE 2015 – the world’s leading trade fair for industrial technology – drew to a close on Friday, 17 April, to rave reviews by exhibitors and visitors. With “Integrated Industry – Join the Network” as its keynote theme, HANNOVER MESSE 2015 soared to new heights, striking an inspirational note among exhibitors and attendees from industry, business and government. The show placed major emphasis on the digitization of manufacturing as well as on human-machine collaboration, innovative subcontracting solutions and intelligent energy systems – topics which pulled in the crowds. More than 220,000 trade visitors – 70,000 of whom came from outside Germany – used HANNOVER MESSE to catch up on the latest technologies and make key investment decisions. “HANNOVER MESSE 2015 has made it unmistakably clear: Industry 4.0 has arrived, and is sweeping every sector of industry. Digital integration is becoming a key aspect of modern manufacturing, and this trend is set to continue at a rapid pace,” commented Dr. Jochen Köckler, member of the Managing Board at Deutsche Messe. “Over the past several days, some 6,500 companies from 70 countries have showcased technologies for tomorrow’s production plants and energy systems. 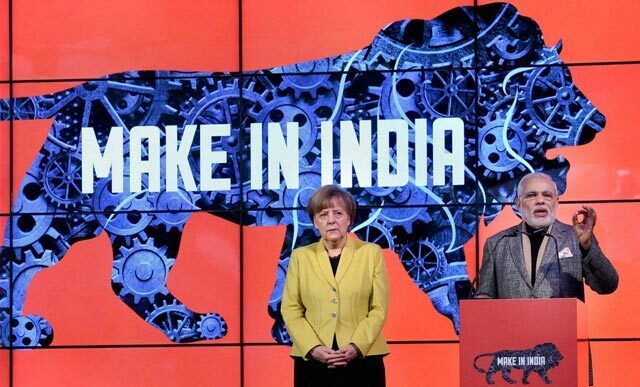 And India has made a real splash as this year’s Partner Country, creating a truly impressive showcase to promote its ‘Make in India’ campaign.” Under the motto of “Integrated Industry – Join the Network”, HANNOVER MESSE 2015 gave tangible shape to the vision of the “intelligent factory”. In the factory of the future, information will be seamlessly exchanged between machines and products, ensuring optimal results and peak efficiency. According to Köckler, “HANNOVER MESSE 2015 has demonstrated that ‘Industry 4.0’ is far more than an inspirational buzzword – it is a reality. For the first time, the smart-factory solutions advertised here can be bought for direct implementation at customers’ plants.” Robots also figured prominently at the fair, drawing keen visitor interest with their captivating demonstrations of speed, precision and power. HANNOVER MESSE 2015 also revealed a new trend in this field, with protective barriers no longer separating robots from people, but robots taking their rightful place alongside human co-workers as versatile team players handling monotonous and physically demanding tasks. “Robots have been uncaged and can now directly support production crews,” said Köckler. But integration is not confined to mere production operations, as energy systems also rapidly become intelligent, driving the transition to renewable forms of energy. An increasing number of decentralized power generators – including wind, solar, hydroelectric and biogas plants – are being hooked up to the grid. “The challenge of combining all these forms of energy generation into a single intelligent power grid, and distributing this power adequately to consumers, has been impressively addressed by the many exhibitors showcasing their pioneering solutions for the energy sector at HANNOVER MESSE,” Köckler noted. “Around the globe, there is a lot of debate about whether Germany is not only a leading industrial nation, but also a leader in terms of Industry 4.0. A quick look at the show’s attendance figures says a lot about this,” remarked Dr Köckler. This entry was posted on Monday, April 20th, 2015 at 7:00 am and is filed under Events, Marketing. You can follow any responses to this entry through the RSS 2.0 feed. You can leave a response, or trackback from your own site.